Liebesbotschaft International: Ready, set, fall! Starring: the cardigan. 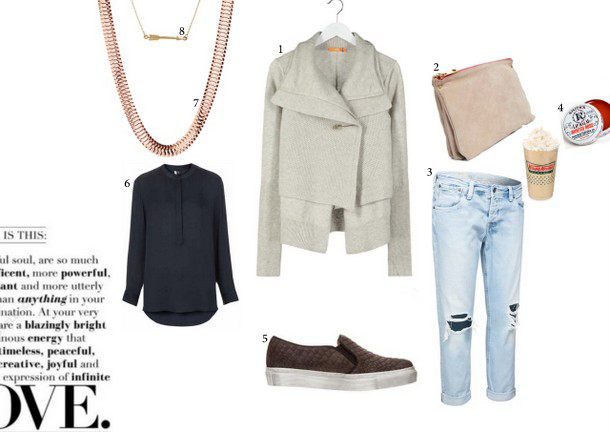 Today my daughter Jil shares her personal styling tips for the fall with you – enjoy! Having barely said good-bye to summer yet, it’s suddenly mid-September already! some garments that I already wore last year, same as some brand new ones. They are all pieces that you can really look forward to wearing, that hang in your closet calling “Put me on!”. The weather tends to be a little erratic during the first days of fall. Cool in the mornings, later maybe a bit warmer, a draft here and there. My perfect companion has established itself quickly and accompanies me while being all cuddly and warming: the cardigan. I fell head over heels for an ingenious beauty by Boss Orange, the two of us have been hanging out all the time ever since. The cut is unusual, it seems as if you are wearing two layered jackets. Every outfit gains more layers and depth through it, you create the impression of being truly put together. The different knits of the material emphasize this effect, the pretty detail in shape of a big safety pin completes the whole look perfectly. I have some go-to looks around this piece that work every time. 2. Clutch by Asos (unfortunately already sold out), similar ones HERE. On top of that, each of my posts this fall intends to inspire you to come up with new ideas and thoughts. I will share some of my own impressions every time: read them and extract what inspires you! 1. Only invest money in awesome pieces! Start trusting your intuition again and take all the time in the world when shopping. Do you love this sweater? Or is it only quite nice? What will you wear it with? From now on you will only take home amazing things. You have to be able to take something out of your closet and be happy about it every time, because it is such a beautiful piece. If you eliminate every purchase out of frustration or in a spontaneous I-just-feel-like-it mood, you will suddenly have a totally different budget. 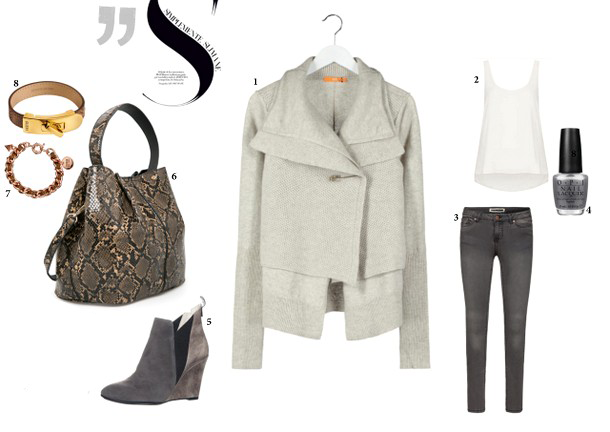 This fall you will find a PERFECT purse, a PERFECT scarf and PERFECT shoes. Whether in a store or maybe even in your own closet, behind the “well-whatever” top and the jeans that “don’t fit quite right, but maybe with a belt..?”. 2. Treat yourself to some fresh inspiration! Walk around with your eyes wide open. Treat your brain to a bit of jogging and pamper yourself with new impressions, such as movies, museums, food etc. etc. Now is the time you will experience all you have not seen, eaten, heard. A fresh breeze should also blow through your closet. I discovered all new colors and materials for myself this month. 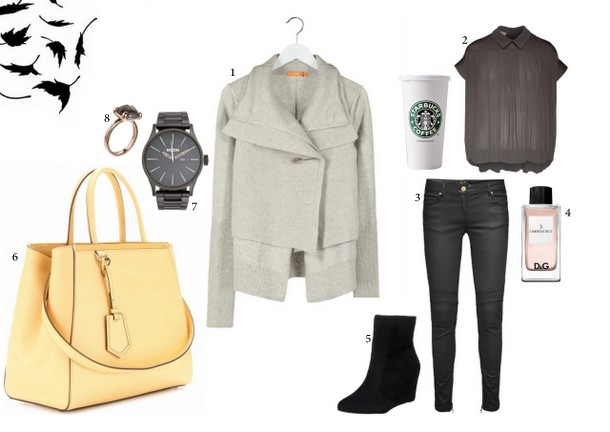 I find yellow hues and grey very interesting, different types of leather and delicate knits. Let new cuts and silhouettes sink in and try something completely different for a change. It does not mean that everyone has to immediately rush off to burn their old stuff! The idea is to look at everything around you with fresh eyes. You will be quite startled how much some small changes will do for your fall look. Best of all – you alone decide what you want that look to be. And now I’m curious: have you found a WOW piece for this fall already? Or is there something that you absolutely must have/want to have? p.s. 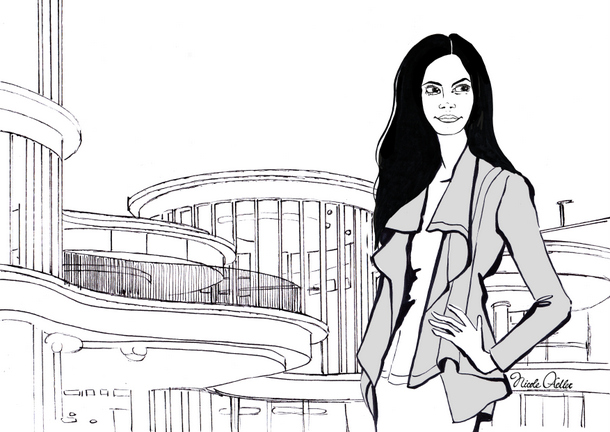 The lovely drawing is by Nicole Adler, thank you so much for it!